Josh Dallas may be one of the stars of NBC’s show Manifest, but that doesn’t mean he knows what will happen in the future of the series. 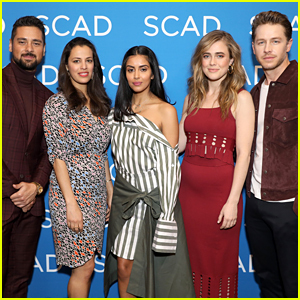 The 40-year-old actor opened up while joining the cast for a screening of the show at 2019 SCAD aTVfest on Saturday (February 9) in Atlanta, Georgia. Josh was joined by showrunner Jeff Rake and co-stars J.R. Ramirez, Athena Karkanis, Parveen Kaur, and Melissa Roxburgh.